A Box Full of Matches is thrilled to announce, to all the beautiful brides- and grooms-to-be, the launch of its unique new range of wedding invitations and stationery. 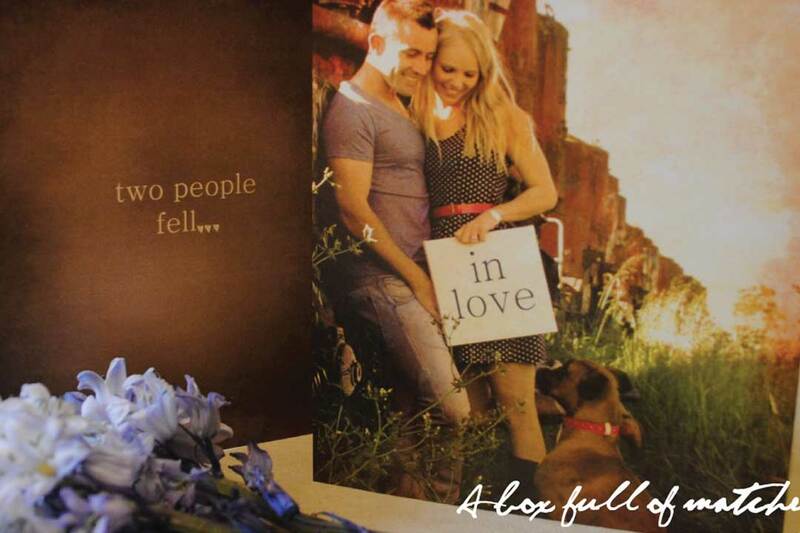 The company prides itself on crafting invitations and stationery that capture the very essence of each couple. One way is to include a photograph of the couple’s favourite place or activity such as walking along the beach, strolling in a park, relaxing together or walking the dog. A Box Full of Matches’ mission is to create invitations and stationery that illustrate the real meaning of a match made in heaven.